It is hard in Australia to buy Meldonium because of a lot of factors. In this article I will examine these factors and how to accomplish task of ordering this miracle substance successfully. The first thing which we have to think of when buying any product is the location. In this case Australia is long way from the source of this famous tennis drug. This product - Meldonium is almost exclusively produced in Europe, to be more exact in the North of Europe , In Latvia. The most commonly known manufacturer is Grindeks (Grindex) , there are some others but their market share is very small compared to Grindeks. 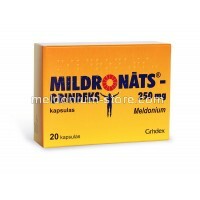 I have to note that Grindeks is manufacturing it with brand name Mildronate. So the source of product is far way, over the ocean and cant be bought locally but can be bought online. 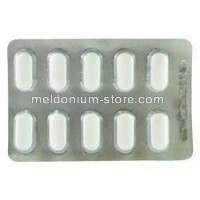 This brings us to the next factor, Meldonium is considered a medicine , it has over the counter and prescription options , which is a bit funny because one can buy more over the counter product and get the same dosage as in prescription one. Nevertheless there are a lot of vendors which sell it online and ship from Latvia,Lithuania or Russia. I will note that it is better to buy from Europian vendors. There is a considerable part of vendors which are not ready to ship to Australia because they fear that package will be lost in the long way to customers or will be seized by customs. But dont fear my Australian readers, ther is hope. 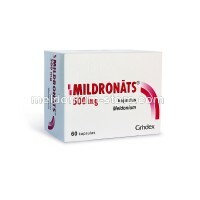 It is possible to buy Meldonium in Australia indeed, there are vendors which ship to Australia , some of them restrict the total of order, but lets be real , this is understandable. As I mentioned before, some sellers are afraid of seized packages. This is because Australia has one of the strictest customs controls but this happens when sellers declare the packages declare as medicine ,in this case customs officers are basically forced to open the packages to check . There are online vendors which are much smarter and use decoys, decoy is a kind of comuflage. it means that they put the Meldonium packages in other boxes like electronics and define them as such. As long as package is not abnormally big,leaking and is packed nicely, it will go trough. This all sounds like smuggling some bad stuff, but in reality the worst what happens is that customs just seize it and the merchandise is lost. There is more good news regarding the possibilities, some vendors not only ship with decoy for extra protection, they also offer Express shipping in different levels. For example Express shipping can take up 2 weeks and will be delivered with courruer or delivery can be order with UPS/Fedex in 3-5 days. Doesn't this sound great? It is! I hope that I have given you an educated insight on how folks in Australia can buy Meldonium . 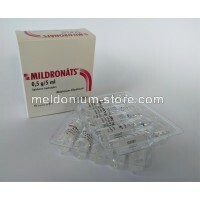 There are these delightful sellers out there who can and will work with you , to help you with your pursuit for Meldonium.